Just as everyone relaxes after the turmoil of GDPR, the EU is introducing a new piece of regulation affecting online business. The new legislation aims to fight against geographical segmentation of markets and prevent companies charging differently based on where a customer is located. It’s regulation that the EU claims will boost cross-border commerce. For retailers active across many markets, it has implications for your digital presence and how you conduct your operations. The new rules essentially say companies have to provide the same online service across all member states and with the same conditions. It means retailers can’t discriminate based on where a customer is located within the EU. It’s important to note that the new rules won’t force companies to charge the same price to all customers. It merely insists that customers should be able to see what other customers pay. Although retailers aren’t obliged to deliver to anywhere in the EU, it must make other arrangements for customers to collect products they have brought. So even if you don’t deliver to Estonia, you’ll need to make it possible for Estonian customers to be able to collect your products in your domestic market. For UK businesses, this may seem rather far-fetched. But in many parts of Europe, this is a more feasible prospect. It used to be quite common for Germans to hop over the border with Poland for cheaper Polish petrol. Across the EU, many people commute across borders for work on a daily basis. This makes it more likely that customers can and will insist on accessing the cheaper version of your offering where they can. The new regulations also cover services. This means you can’t price-discriminate against customers from any member state when you’re renting a car or a hotel room. Services that are delivered electronically (such as web hosting) are also covered by these new rules. The new rules apply both to companies based within EU member states and those outside the EU selling to EU customers. If Brexit goes ahead after March 2019, it’s likely that this will include British companies active in EU member states. UK companies will have to remain compliant until, at least, the end of 2020 and most probably beyond then. Frustratingly for many EU web users, online content is already being geo-blocked by companies who want to avoid having to comply with GDPR legislation implemented by the EU. The GDPR is already having an impact on EU web users visiting non-EU websites. But the new EU geo-blocking regulation affecting online businesses is something totally different. People located in EU member states have been frustrated to discover many US sites have been denied to them since May 2018. US-based news sites such as the LA Times found it easier to block EU-based users or offer a very stripped-down content offering after GDPR came into play this past spring. This isn’t the version of geo-blocking that the EU is trying to fight against with its new legislation. Instead of forcing non-EU sites to make content available to EU citizens, the new regulation aims to prevent market segmentation that would mean businesses charge different rates to customers in different markets or even in particular locations within sovereign markets. It’s all part of the EU’s strategy of trying to create a single digital market within Europe. If you’re currently serving multiple markets online, you need to be aware of how you’re serving content to customers. The new rules state that you mustn’t automatically serve the local version of the website to the customer based on their location. This means that if a customer visits your .com website and you identify their location as being in Italy, you can’t automatically redirect them to the .it version of your website. You must offer them this option and they must be able to navigate to a different version of the website if they want to do so later. 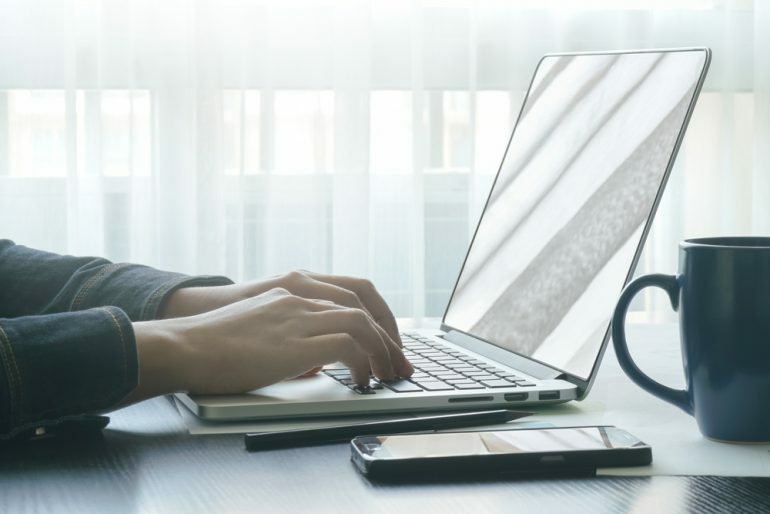 From a language perspective, this makes sense anyway – plenty of expats may prefer to access a website in their own language rather than the language of their location. 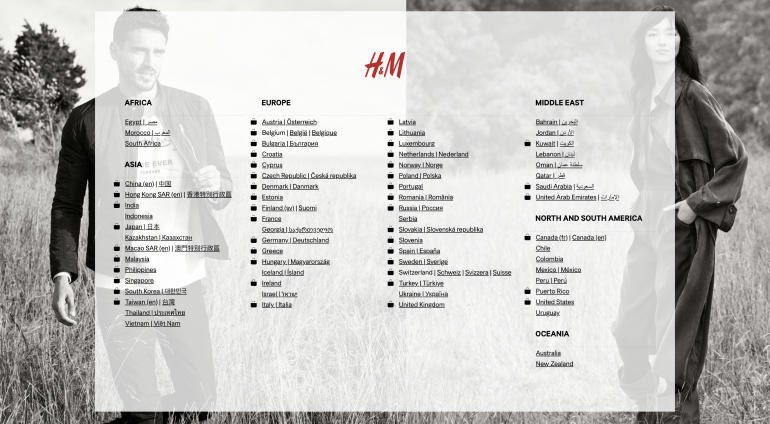 H&M’s .com site always gives its users the option to choose a country rather than redirecting users to a version of their site based on their location. Geo-blocking rules have been active since early December, so it’s vital that you check you are compliant. For some companies, this could mean a serious reorganisation of their sites, particularly if they are currently doing automatic redirection. You must also check that the price and conditions you offer are the same for all EU customers. Remember that you don’t have to set the same prices across all EU states but your customers will now have a greater awareness of what prices you are charging elsewhere. This may impact on your reputation, so proceed carefully. If you’re running sales and other promotions in some territories but not in others, be careful how you structure these offers to remain compliant with the rules. Research by the European Commission suggests that geo-blocking is in active practice right across the European Union. In 2016, 63% of eCommerce sites wouldn’t let you buy if you were based in another country. Geo-blocking was most often practised in the household appliances and consumer electronics/computing sectors. Clothing and apparel were also commonly geo-blocked. So the new regulations may impact on these sectors in particular.